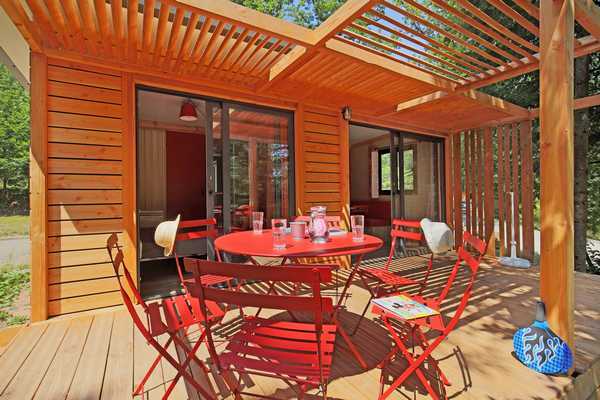 Enjoy a trip in the heart of an exceptional setting, the great forest of the Landes de Gascogne. 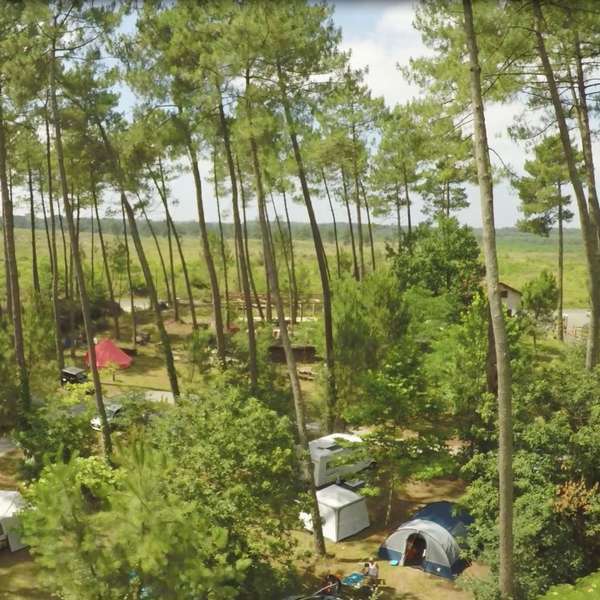 Located near to the Nature Reserve of the Courant d’Huchet, the Huttopia Landes Sud campsite lies just a few kilometres away from the ocean. 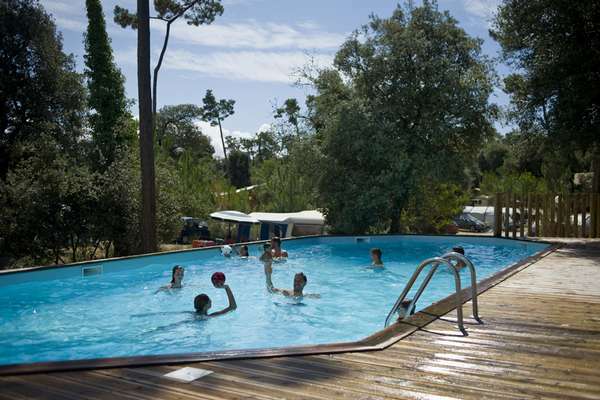 On site, enjoy the swimming pool and the river crossing the campsite. 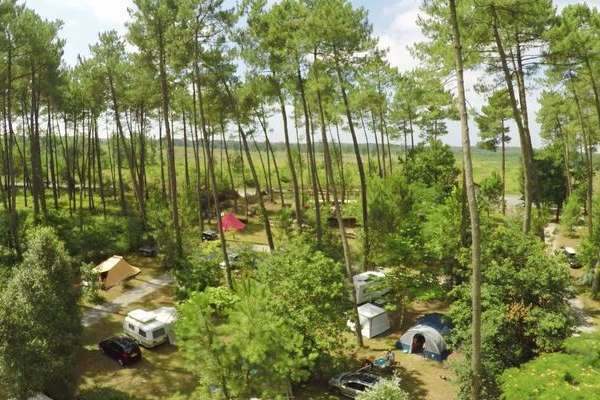 Huttopia Landes Sud campsite is a new destination, just a few miles from the ocean. 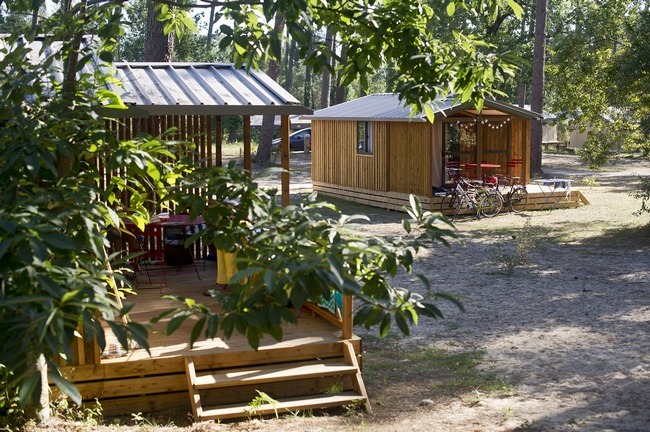 Huttopia Landes Sud invites you to stay in a beautiful natural woodland area with a variety of species of tree (pines, oaks…), bordered by a river you can canoe down. After a busy day of activities, relax on a sun lounger beside the heated swimming pool, have a bite to eat at the Pizza-Grill restaurant, or enjoy a friendly game of beach volleyball… Little children will also love the new playground. 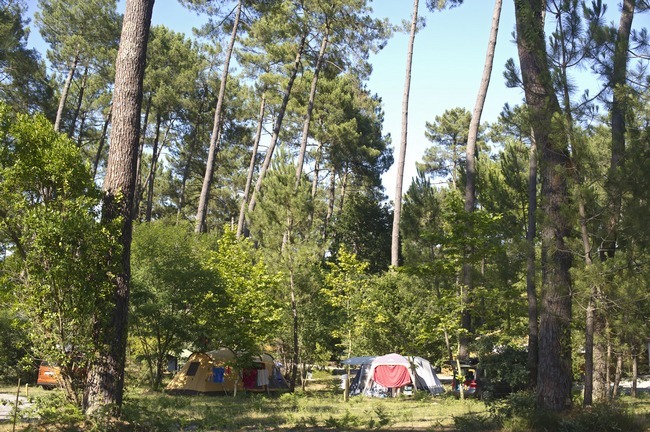 Camp in the midst of nature! 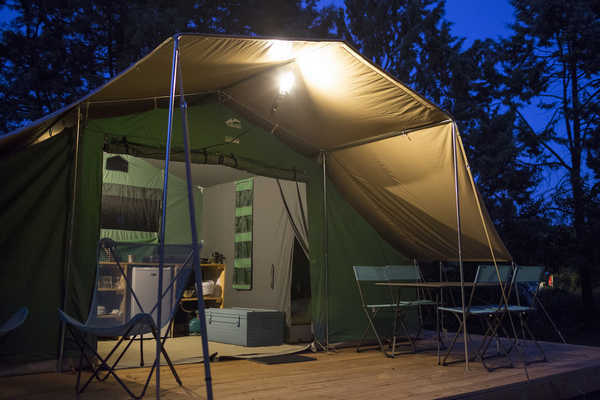 Set up camp on a large, flat pitch or choose our comfortable rental accommodation, which is all pleasantly furnished and situated in the shade. 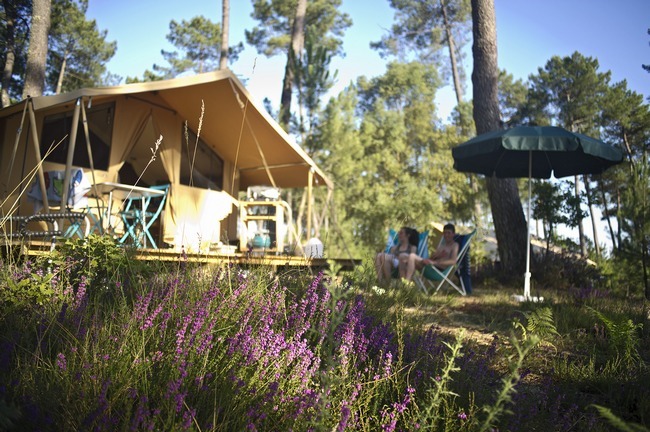 At Huttopia Landes Sud campsite, choose a Wood & Canvas tent for a stay in the midst of nature, or opt for a chalet or wood trailer for a holiday with all the comforts. Remember to bring your sleeping bags or your sheets and pillowcases! Linen is not provided. 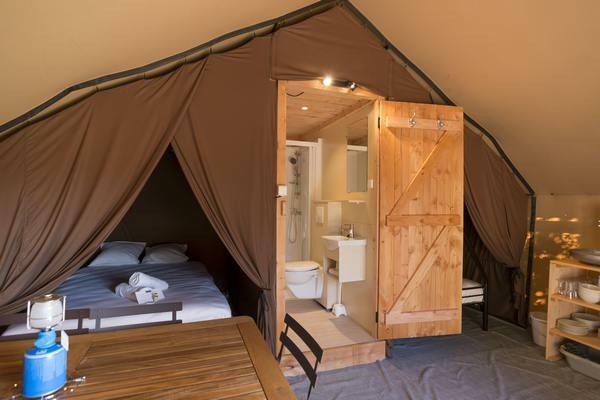 You can hire linen on site (sheets + pillowcases): €9.80/bed, and towels (€4.50/towel). 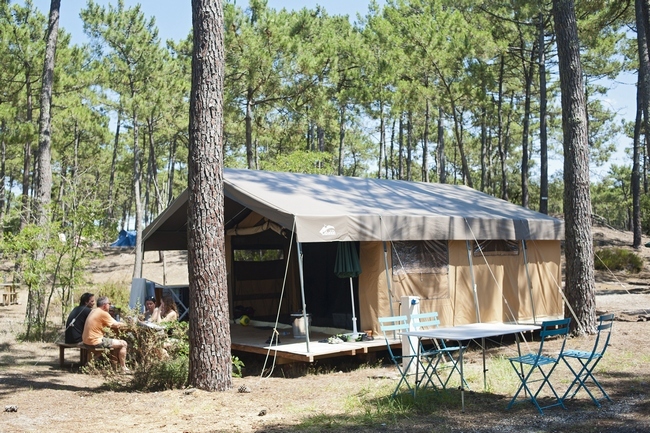 Camp in the Landes on a pitch in the heart of the forest! 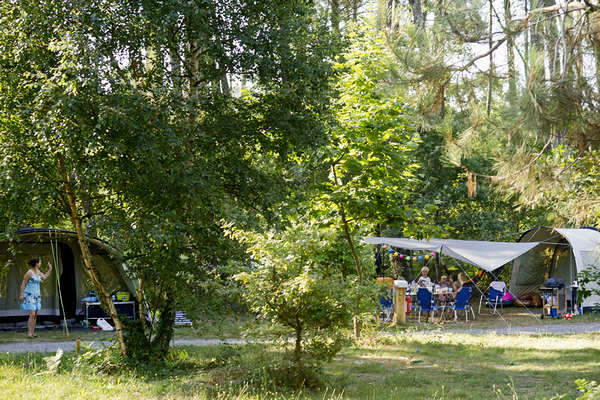 Huttopia Landes Sud campsite is a brand new nature campsite situated 5 km from Lake Leon, nestled on the banks of the river in the heart of 5 hectares of woodland. 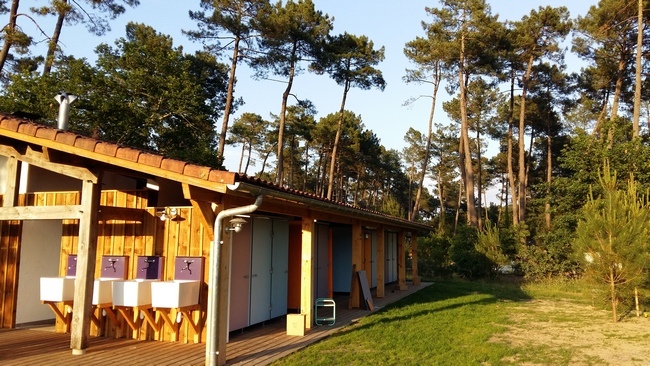 Huttopia Landes Sud campsite has two large and comfortable, brand new washrooms built using simple materials in the typical architecture of the Landes. There are baby areas for campers travelling with babies. The washrooms are also suitable for people with reduced mobility. 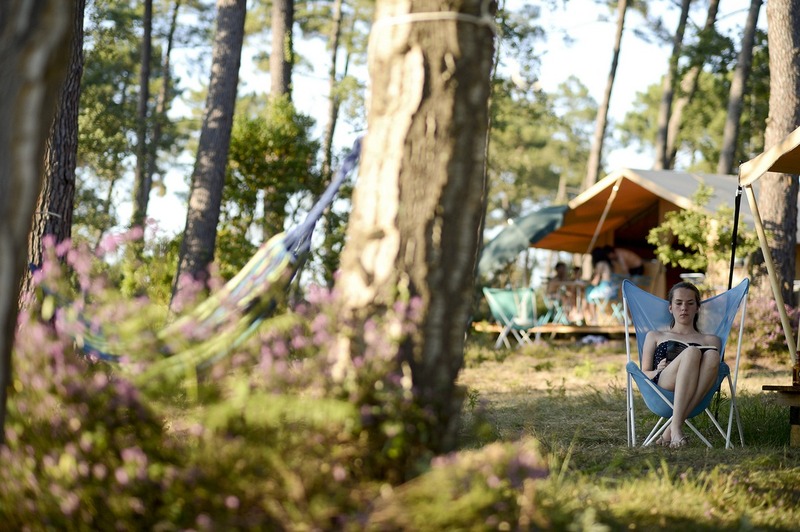 During your stay at camping Huttopia Landes Sud, Huttopia services are there for you. Next to the heated and paddling pools and the terrace, you will find the Reception, the Pizza-Grill and a lounge area to relax and enjoy the family moments. 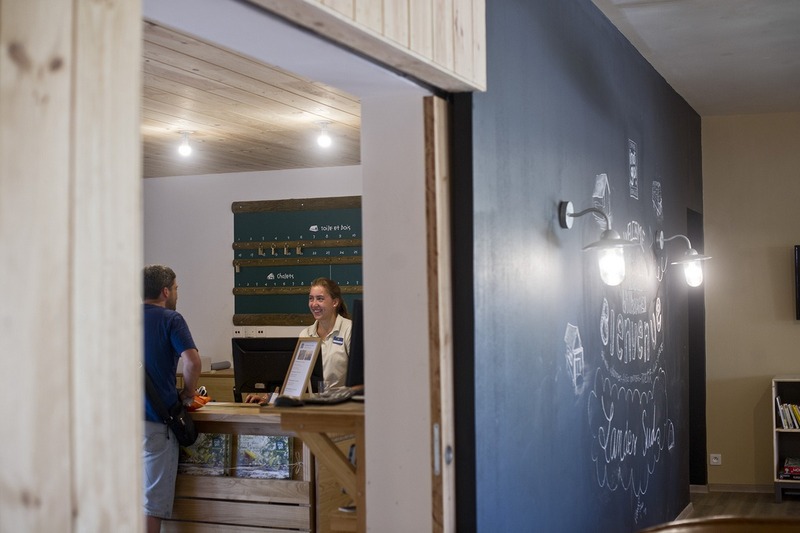 A computer is available at Reception for you to check your emails, plan your day trips …and free WiFi at the Central lodge for you to stay connected. Did you forget to buy salt, milk or other necessities? 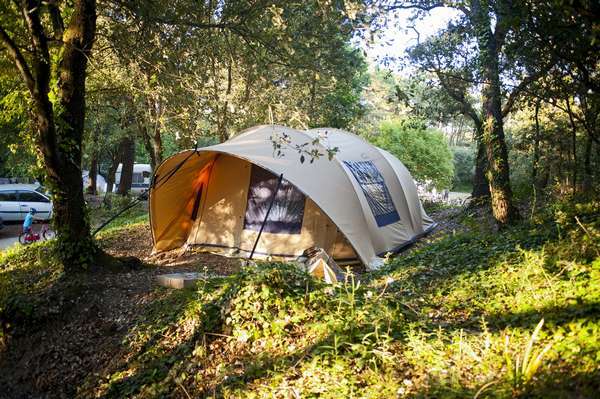 Are you missing an accessory for camping? We have a small grocery store located at the reception.  You will also find some regional products to taste the local gastronomy. 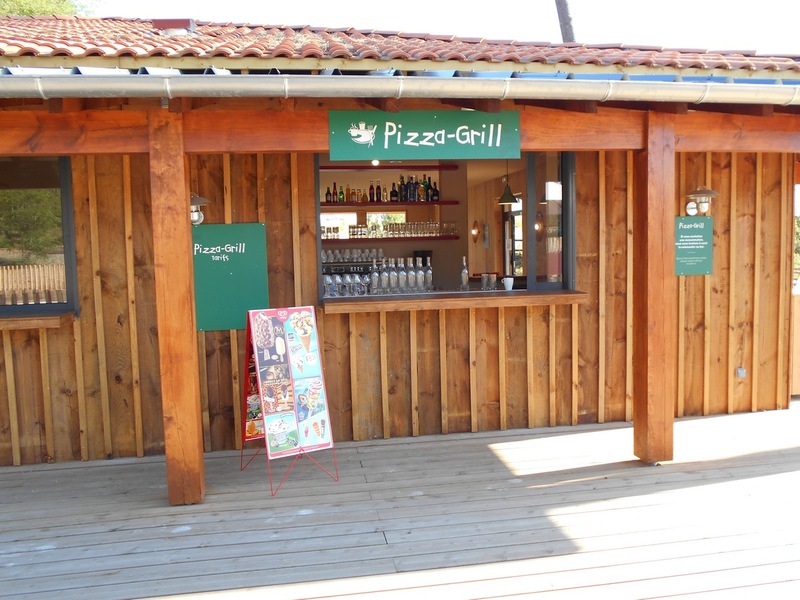 The Pizza-grill, open from 5 July to 2 September, is offering homemade pizzas, grilled meat, french fries and fresh drinks for you to eat on the terrace or take away. Order your bread and pastries the day before. The next morning you will enjoy your breakfast! Because we are committed to working with local producers, bread and pastries come from the village bakery. 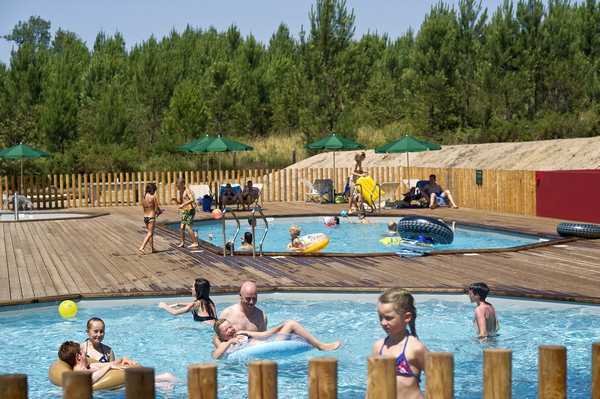 Huttopia Landes Sud campsite has a heated swimming pool with a paddling pool, opening out onto the site. 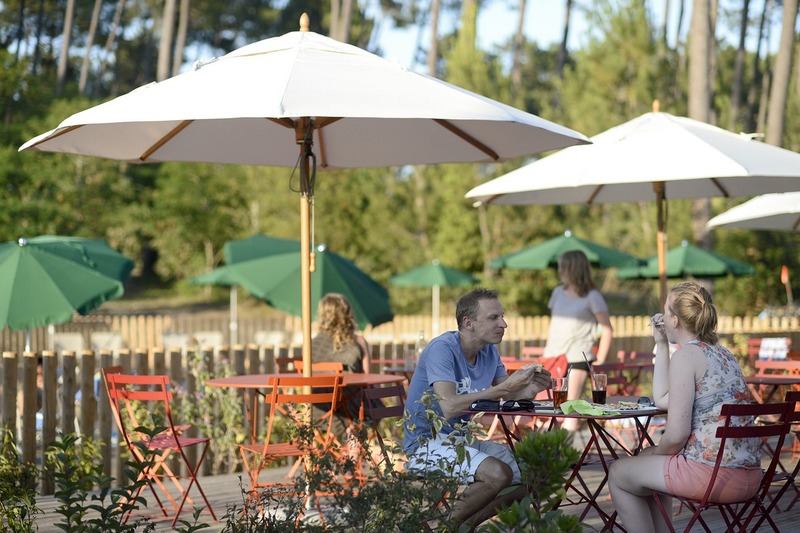 Sun loungers and parasols are available for your use so you can enjoy sitting out on the wooden terrace and relaxing in the heart of nature. You can play volleyball, table tennis, table football, or petanque with family or friends, or have fun with your little ones in the children’s playground, just next to the swimming pool. You will find board games and books on the region in the central lodge that you are welcome to borrow. You can also hire bikes to explore the surrounding area in true freedom. The swimming-pool will be opened from 29/05 to 22/09. Swimming, surfing, and relaxing… On the programme, leisure and relaxation by the water. With the ocean, Lake Leon, and swimming pools for you to choose from, you have limitless possibilities for your water activities. 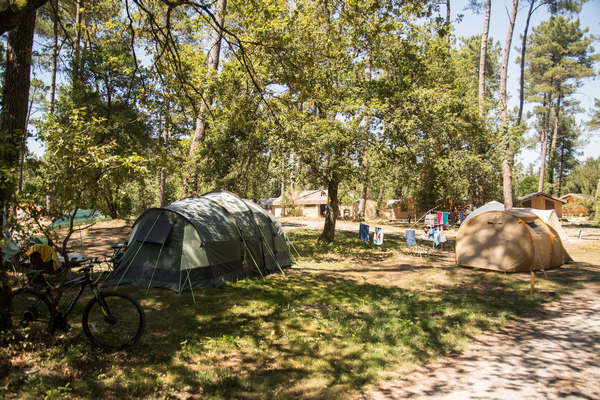 The freedom of cycling… Set out by bike from the campsite through the forest to reach Lake Léon, the coast, or the typical villages of the Landes. 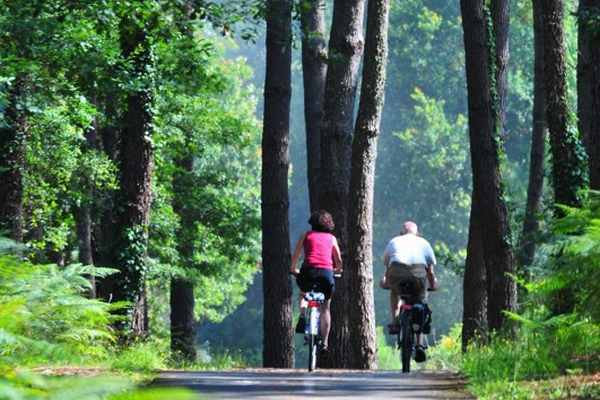 Take the Vélodyssée cycle paths and enjoy the blues and greens of the varied landscape… the pine forest and Moliets golf course… the villages of Messanges and Vieux-Boucau. The cycle paths lead to the beautiful sandy beaches of Seignosse and Hossegor, some great surf spots, and the bustling port of Capbreton. 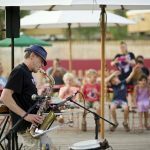 Come and watch a concert or a magic show, take part in a petanque tournament, or join us for a twilight walk, a games gala night, or a regional themed dinner. 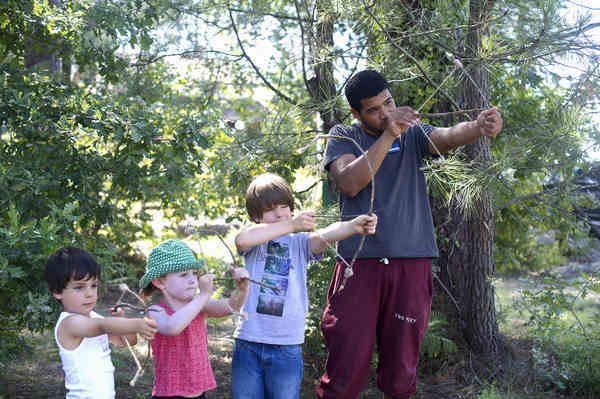 Every morning in summertime, our activity leaders offer activities especially designed for children aged 5 to 12: the Kids Clubs are the ideal opportunity to make new friends! 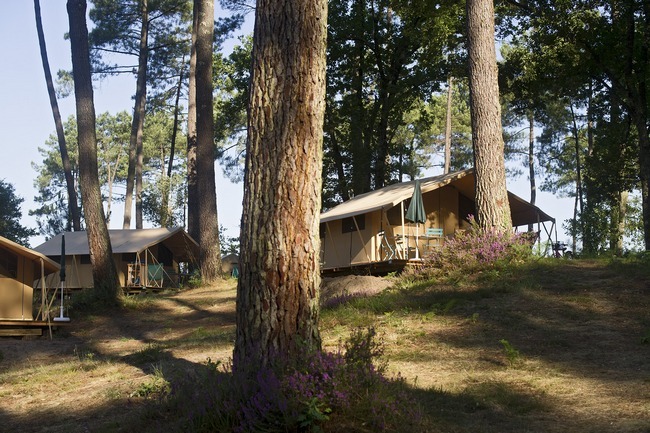 Sport, nature, culture, leisure, and original entertainment… Under the sun or under the stars, discover some of our campers’ favourite activities, offered all summer round at Huttopia Landes Sud campsite! 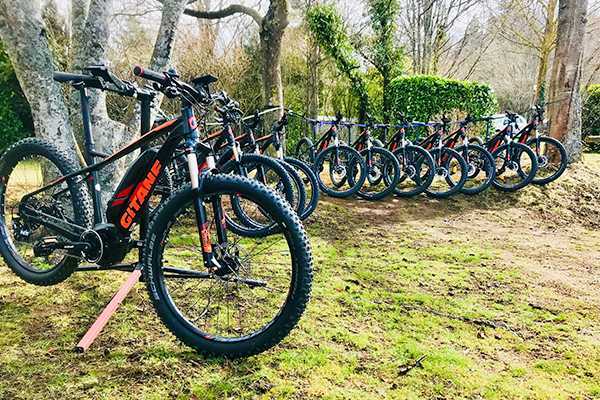 Enjoy true freedom at Huttopia Landes Sud, with our brand new, electric mountain bikes, available for hire (from june). Perfect for invigorating bike rides on all kinds of terrain! 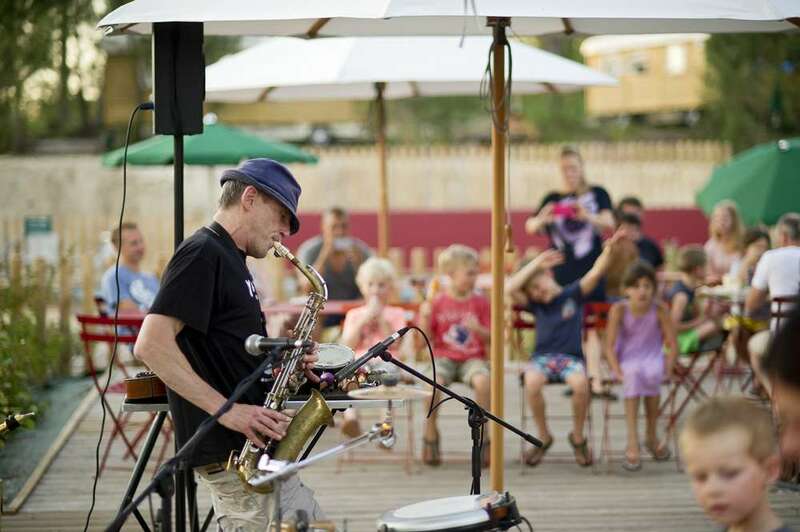 Discover the Basque culture while having fun, every Sunday at the camp site! 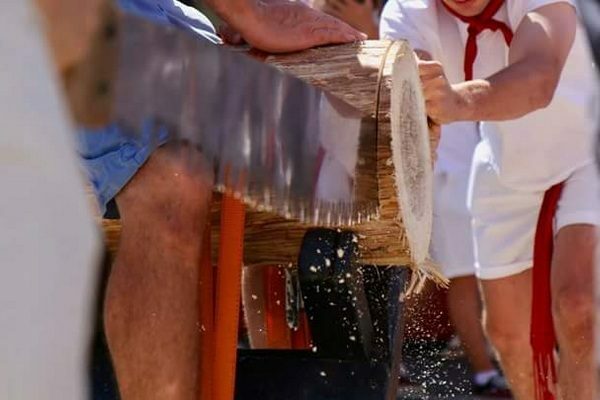 Lifting games, bale tossing, Toka, wood chopping games… tackle the challenge as a family or amongst friends with Gaïa! 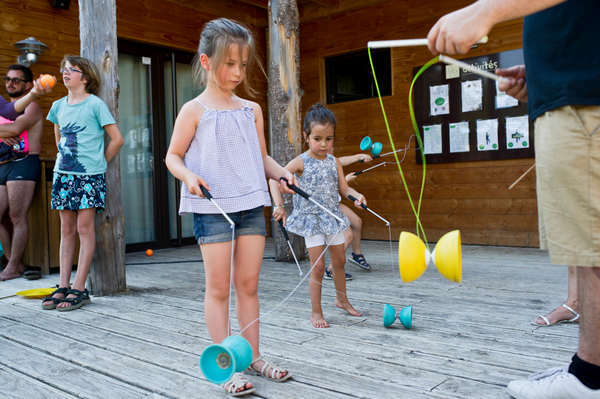 Diabolo, juggling, unicycling… our partner introduces budding acrobats to the circus arts. On Friday afternoons, children and adults are all welcome to come along for an introduction to archery. Learn tips and tricks for hitting your target! 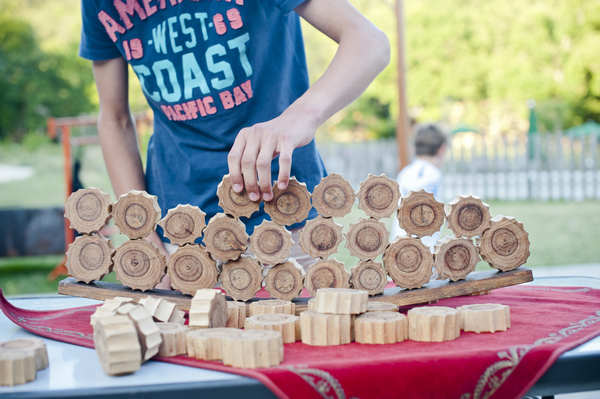 Two Wednesdays per month, come along to the Central Lodge to enjoy the simple pleasures of playing giant wooden games, with Philippe Marvié. 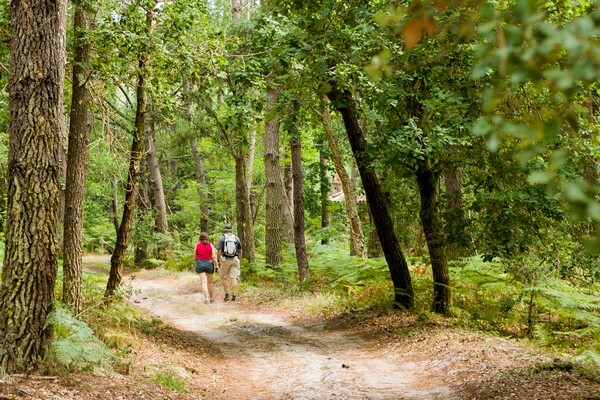 From Lake Léon to the ocean, discover the diversity of the flora and fauna. You can explore this nature reserve independently or go on a guided tour. 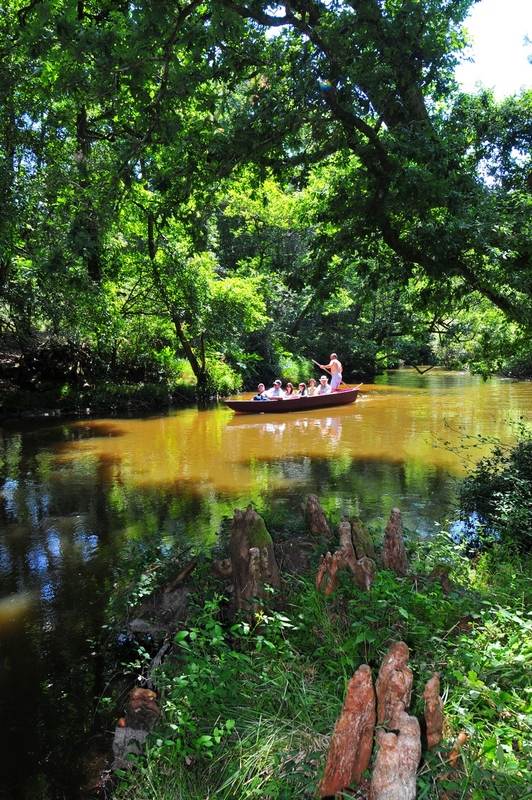 Don’t miss the chance to go down the river with a boatman. 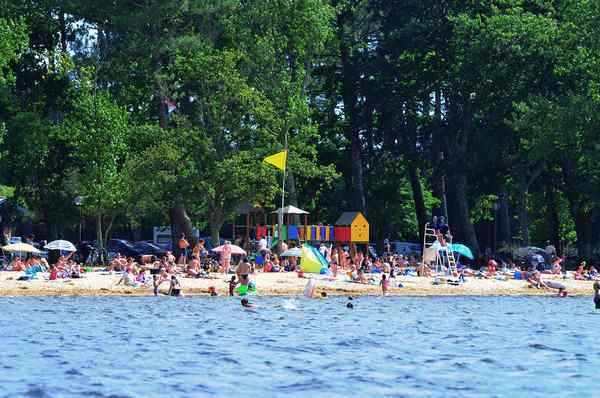 The river mouth, which opens out onto Moliets beach, is an ideal place to swim. Enjoy local specialties such as asparagus mousseline or a Landes salad with a slice of foie gras. For those with a sweet tooth, you can choose between millas from the north of the Landes, the famous Landes pastis with crème anglaise, or a succulent apple tourtière with Armagnac flambé. To accompany these mouthwatering dishes, discover local wines such as Tursan, Côteaux de Chalosse, and the vins des sables. A treat for the taste buds! 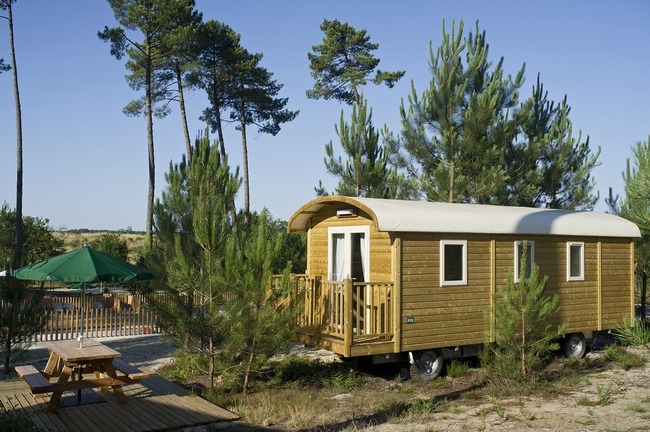 The Landes is a friendly and traditional French department, with the largest expanse of forest in France. 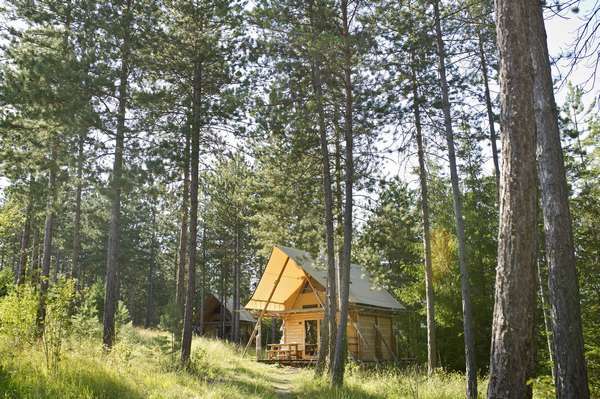 An ideal destination for relaxing in total harmony with nature and getting back to the source. 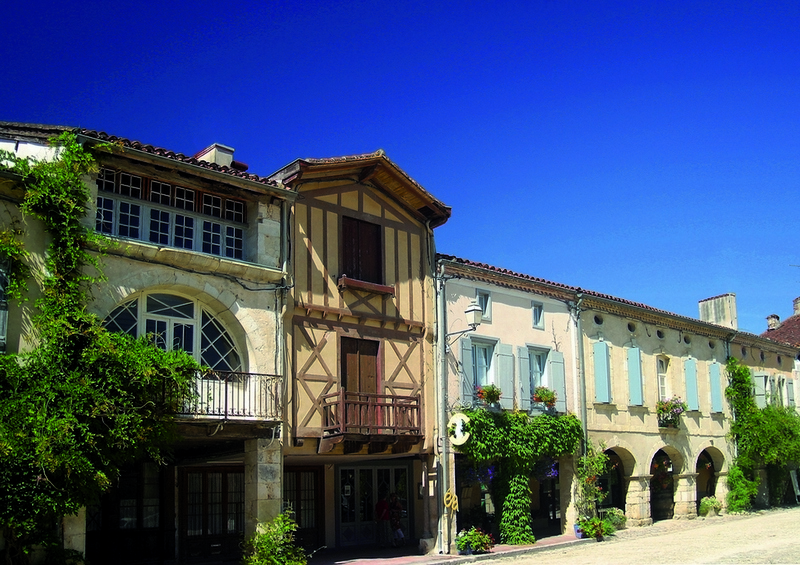 As you travel between the towns and villages, admire the lovely architecture of the half-timbered houses of the airials and sheepfolds of the Landes. 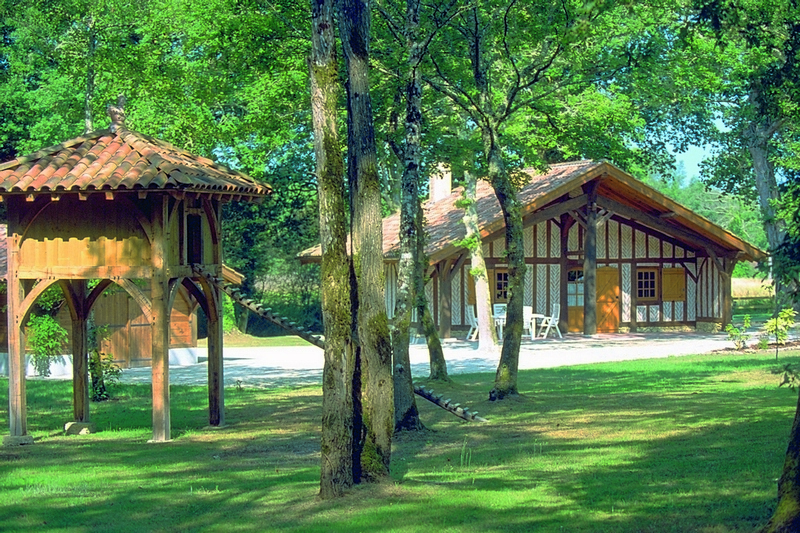 Visit St-Michel-Escalus surrounded by woodland. 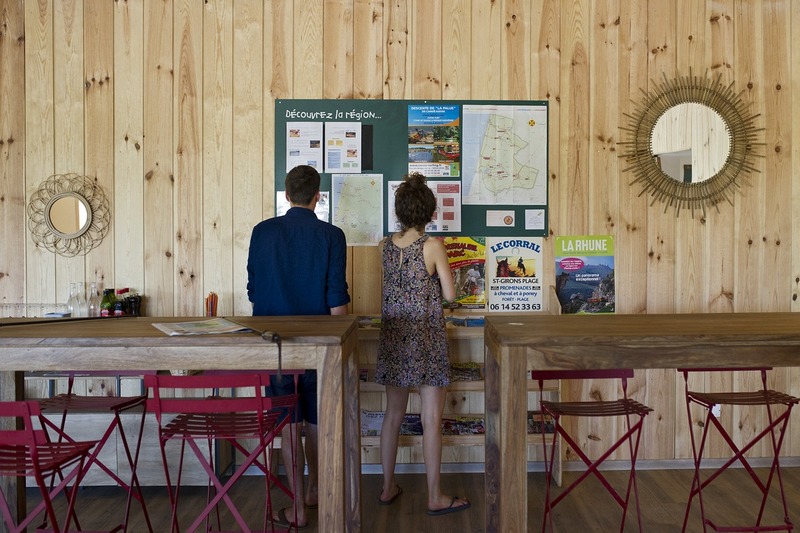 Leon with its lake where you can enjoy water activities, and Contis with its rare and unspoilt quality of life. Breathe in the fresh air as you admire the exceptional panorama from the top of the lighthouse. 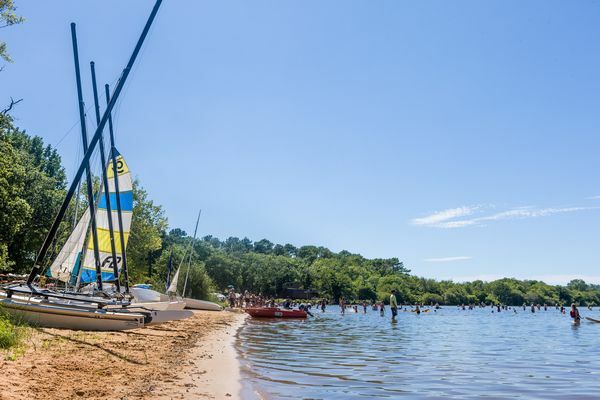 Going on holiday in the Landes region, also means the pleasure of discovering towns steeped in history and culture such as Dax with its ferias, Seignosse, Mont-de-Marsan, Hossegor, Biscarrosse, Capbreton, and Mimizan. 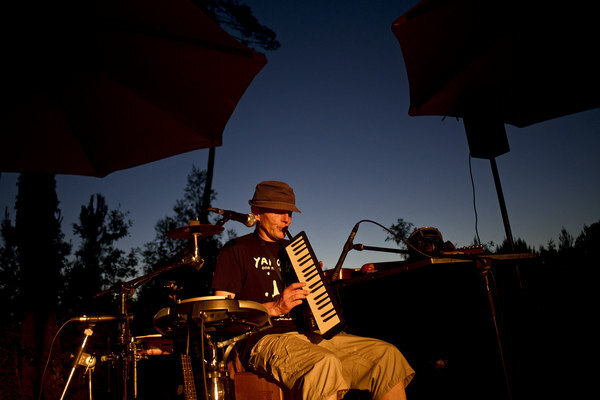 -10% from 3 nights from 29/05 to 05/07 and from 01/09 to 22/09. Well organised, good communication, quiet, clean, friendly staff, good pool and lovely pizzas available.